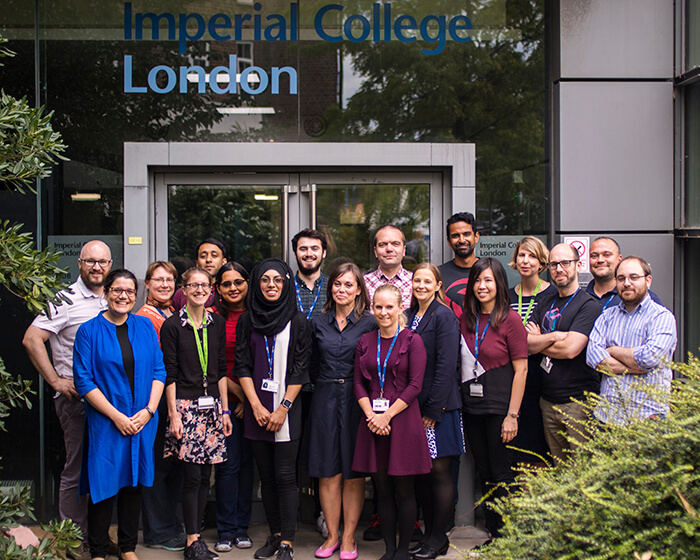 The Imperial Phenome Centre (IPC) was established in 2012, within NIHR Imperial BRC’s Stratified Medicine Theme. Many of the analytical machines were a legacy from the 2012 Olympic drug testing facility. Over the years, it provided infrastructure and support to researchers investigating chemical make-up of tissues and biofluids, such as blood and urine. Taken together with a patient’s genetic profile, lifestyle habits and history, it forms a phenotype, which could be used for tailored monitoring and treatment. With renewal of BRC funding in 2017, it became part of the Molecular Phenomics Cross-Cutting Theme, which applies a range of advanced molecular screening technologies and ‘omic modelling approaches to identify new diagnostic/prognostic biomarkers that could be actioned in the clinic to improve patient safety, treatment efficiency and overall survival and benefit. To find out more about the Theme and what they do, we caught up with Ms Lynn Maslen, manager of the IPC. The IPC takes biological samples and runs them through a suite of assays to provide deeper insight into the metabolome of the sample. Known variously as metabolic phenotyping, metabolomics and metabonomics, these assays allow the metabolites in a biological sample to be seen and characterised. 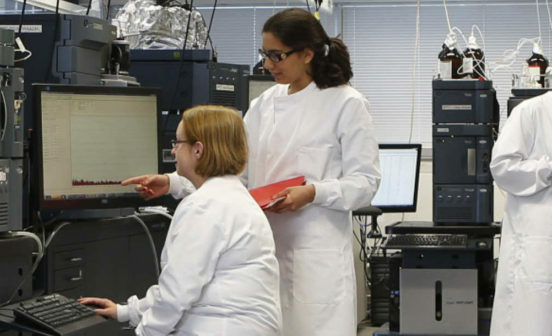 The Centre runs assays on two platforms, very powerful in their own right- Nuclear Magnetic Resonance (NMR) and Liquid Chromatography–Mass Spectrometry (LC-MS). Yet the Centre goes a step further and joins results from both of these platforms to give a unique and broad coverage not available through any commercial providers. The great thing about my job is that I get involved with projects right from the moment an investigator is thinking about using the Centre so I can ensure investigators can speak with the right people in the Centre to help guide their thoughts around study design and sample numbers. I also provide support for grant applications in both providing quotes for the work and also text for the application, right the way through any legal contracts which need to be sorted, to bringing the samples into the Centre. Once in the Centre, I project-manage the journey of the study through the Centre, working with the hugely skilled technical specialists we have in our technology areas and informatics for the generation of the raw data through to delivery of the processed data to the investigator. No two days are the same and it is so interesting seeing how metabolomics can help support research and, ultimately, clinical discovery and decision-making in so many different disease and clinical areas. What kinds of studies do you support at IPC? Pretty much everything, as long as it is metabolomics. We often get mistaken for a proteomic centre as this uses some of the same instrumentation, but it is a very different speciality! We’ve done studies in collaboration with many BRC themes, covering diseases such as ovarian cancer, liver cirrhosis, the effects of bariatric surgery, peanut allergy, diabetes, inflammatory bowel disease, paediatric critical illness, septic shock, colorectal cancer, multiple sclerosis, paediatric tuberculosis, breast cancer, neonatal encephalopathy, severe alcoholic hepatitis, ectopic pregnancy, thoracic aortic aneurysm, neuroendocrine tumors, gastro-oesophageal cancer, intestinal metabolites associated with appetite suppression, pulmonary arterial hypertension, immune thrombocytopenia. As you can see it is quite a portfolio of coverage. I like to describe the Centre as “disease blind” – we are not restricted to just one disease area, if a clinician has a hypothesis and can collect biofluid samples then the Centre can help. And what types of clinical samples do you work with? 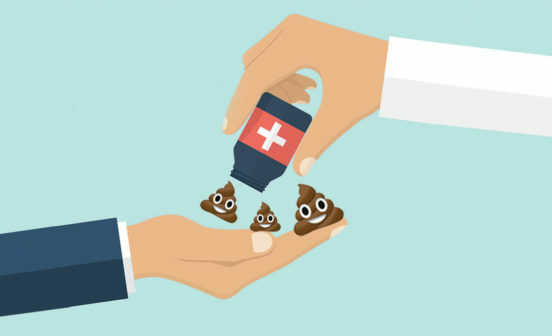 We routinely carry out studies on urine, plasma and serum and these assays are most highly characterised, however we also have a crack team of technical specialists who have been able to also ensure our assays work on breast milk, cell culture media, nasal swabs, tissue extracts, faecal extracts and CSF to name just a few. If an investigator has a sample type which we have not experienced before, then we are always happy to see how we can use that sample with our assays. In terms of the diseases we can look at, again pretty much anything! The only thing we cannot work with is samples which require a biosafety category 3 and above sample preparation area (so nothing infectious such as HIV or TB). However if you are able to provide proof that satisfies the College H&S team that the samples are no longer infectious via treatment then we can work on those samples too. Do samples need to be processed before reaching you? Absolutely no special preparation is required by the investigator before the samples ship to us – we are happy to take samples in whatever labware they currently are in in a freezer. In fact, one of the biggest causes of deterioration of metabolomic signature in a sample is the number of freeze/thaw cycles it has undergone, so if you have collected your biofluid sample in 5ml aliquots the Centre would prefer to receive the whole aliquot and we will remove the volume we need and return the remainder to you. We appreciate that your samples are a valuable resource and so we are always more than happy to tailor the work we do to ensure it fits the requirements of the study, so please do speak to us at any stage to find out more information. And what happens to a sample at the Centre? In simple terms we take the biofluid sample and split it out for all the assays we will be undertaking (our Precision Profiling Assay Suite consists of 4 assays runs in total providing up to 7 data sets depending on the biofluid). Once split, we will run the samples in parallel through the assays. Once our crack team of technical specialists have undertaken quality control checks on the data, we then pass this onto our specialist informatics team who undertake a basic analysis of the data before passing back to the investigator. Importantly, we don’t just send investigators the data and leave them to it, we also offer ongoing data analysis for researchers who do not have statistical analysis capacity within their groups. The Molecular Phenomics facility here at the IPC is open to everyone! 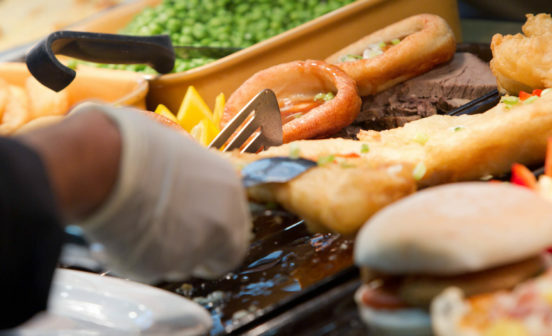 If you have samples which are suitable and a question you want to answer- then come and speak to us. The costs for the Centre are kept as low as possible (thanks to the BRC funding) but there is still a cost involved in running and analysing the samples. However, we are always happy to provide support to any investigators applying for funding to ensure the metabolomic aspect of the application is strong and accurate. We have been set up to be the experts in undertaking metabolomic analysis so we can work in partnership with the clinical and research experts who have the patient cohorts and samples, so if you don’t know anything about metabolomics please don’t be afraid to come and speak to us. Likewise, if you are an expert and already know how good a technology it is, we are equally there to support your work too. We want to help as many researchers as possible to forward their clinical research and, hopefully, help move closer to new gold standard diagnostic tests or improvements in clinical decision-making tools. 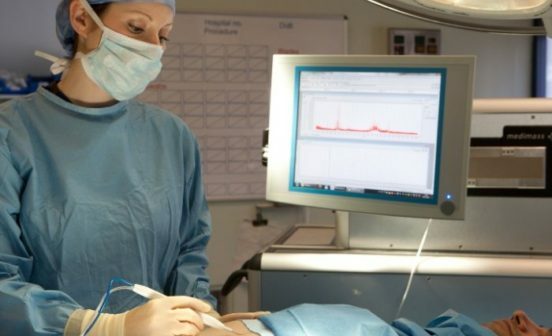 The most exciting part of my work is being able to act as a translator between the clinicians and their specialist knowledge and the Centre’s very specialist technical and informatic team. Both disciplines can be guilty of using specialist language or innate knowledge that the other may not have or understand – or worse still may have a different definition from the other for the same word! As I have a very different background (my first degree was in plant genomics and my second in strategic management) I can call both sides out when they start disappearing down the jargon rabbit hole! 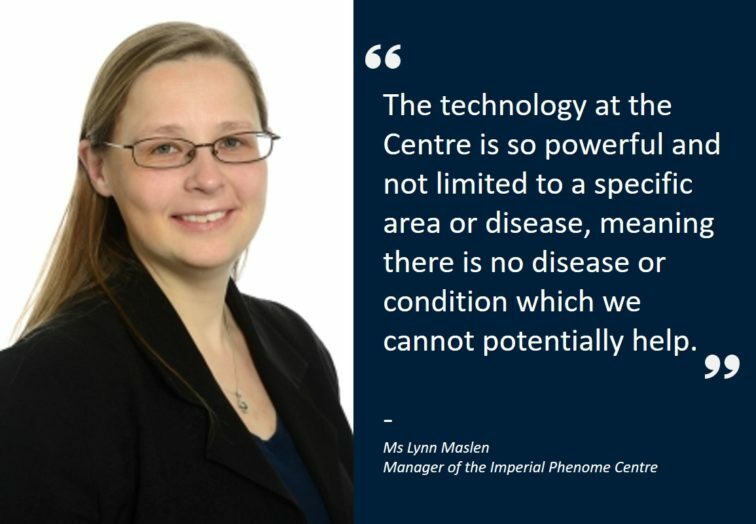 What I also find really exciting is the fact that the technology at the Centre is so powerful and not limited to use in a specific area or disease, meaning there is no disease or condition which we cannot potentially help. What is even more exciting is, because of the hard work which was put into the Centre and the design of the assays we run from the very first studies, the level of quality control and addition of long-term reference samples means that we can potentially map discoveries from one study over onto another. In the future we will be able to proactively encourage and facilitate new collaborations between investigators and their existing data enabling, for example, a detailed clinical study with a small number of patients to be able to become part of a much larger study with enough power to provide clinically-actionable discoveries. Alternatively, if we find a biomarker metabolite in one cohort, we can cross-validate the findings with a similar cohort we ran in the past. What advice would you give those interested in accessing the facility? Come and speak to us – we are here to help you with your work. Make use of the fact that we are embedded within the BRC to use us for tailored advice, as this is not something commercial companies are able to offer. We are happy to engage with people at any stage of their work – be it at grant application stage, developing a new cohort collection, re-visiting an existing collection etc, it is never too soon to ask how we might be able to help. Especially when there is an ITMAT call- we are always more than happy to talk through your proposal and provide concrete ways in how the Centre can support your work and application as one of the cross-cutting themes of the BRC. The Centre recently worked with the NIHR to launch a free e-learning suite which details all the various stages of metabolomics studies including study design right the way through to data analysis. 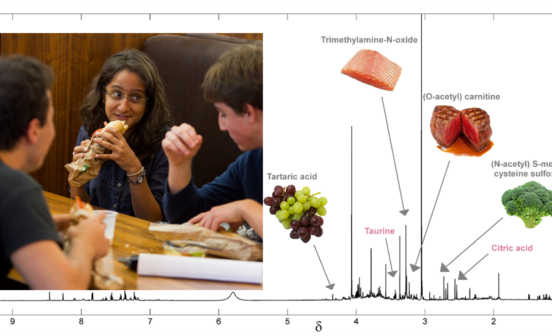 I would strongly encourage anyone who is even slightly considering undertaking some metabolomics work to have a look at this as it is a really interesting learning package split into nice bite-sized chunks which easily fit into a coffee or lunch break. You can access is free with an .ac.uk, .nhs .nihr or .doctor email address. Molecular Phenomics is part of Institute for Translational Medicine and Therapeutics (ITMAT)- a virtual centre built on a number of core technology platforms, which aims to accelerate translation of pre-clinical research into therapies through collaborative projects.